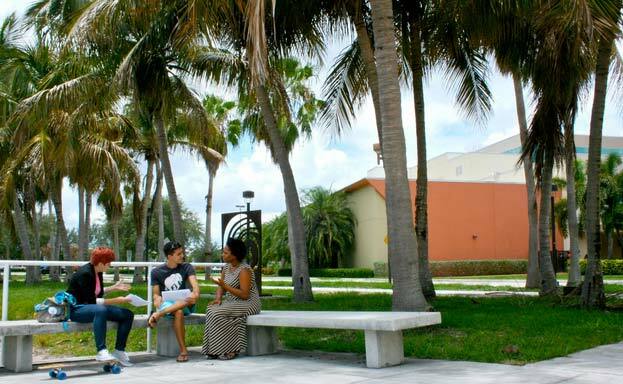 The Creative Writing MFA at Florida Atlantic University is home to an engaged and lively literary community. During the three-year (48-credit) program students take writing workshops in fiction, creative nonfiction, and poetry, as well as literature courses. Students can take additional coursework in Literary Translation, Bookarts, and Creative Writing Pedagogy. We encourage our students to take workshops in all the genres to broaden their perspectives and to pursue their degrees open to experimentation and the potential found in hybrid work. The distinguished faculty of the MFA at FAU has published widely and received a prestigious O. Henry Award, Pushcart prizes, and a Guggenheim fellowship. Teaching assistantships that include tuition wavers offer students the opportunity to teach composition and creative writing during their time in the program. Also available to students are a summer internship program, the opportunity to work on the literary magazine Coastlines, and stipends for both conference travel and summer travel. Our Off the Page reading series brings nationally known writers to the FAU campus, and every year the Lawrence A. Sanders Writer-in-Residence teaches a weeklong workshop exclusively for the MFA students. Recent Sanders writers have included Justin Torres, Jo Ann Beard, Tayari Jones, Nick Flynn, Eula Biss, Michael Martone, and Forrest Gander. Visiting writers have included Roxane Gay, Phil Klay, Rodrigo Toscano, Rebecca Makkai, and others. Of course, in addition to their coursework, extracurricular activities, and the thesis projects that culminate their degrees, our students take time to enjoy the sun and sea that make South Florida such a popular vacation destination.